Learn about how Goodwill Industries is an integral part of our South Florida community. Felipe F. Basulto is the Market President – Retail in South Florida for TD Bank, America’s Most Convenient Bank. In this role, he is responsible for the Bank’s retail network sales and operations, including consumer and small business accounts and lending across 77 locations in South Florida, from the Palm Beach County to Miami-Dade County and over to the Southwest Gulf Coast. Felipe joined TD Bank in March of 2010 as the Retail Market Manager in the Greater Miami Region. During his tenure with TD, he has focused his efforts on building out the retail distribution network for the Bank in their ongoing development of the South Florida market. With Felipe’s leadership and support, the Florida Market took home J.D. Power trophies for Retail Banking Satisfaction in 2013 and 2016 and Small Business Banking (in the South Region) in 2017. Felipe demonstrates a strong commitment to the community through his efforts in various organizations. He serves on the Executive Board of Directors for the Greater Miami Chamber of Commerce as Chair-Elect and Board Member of the South Florida Progress Foundation and is a graduate and Past Chair of Leadership Miami. He is the Immediate Past Chair of the South Florida Hispanic Chamber and is currently Chair of their Foundation. He is a board member of City Year Miami and Past Chair of the Banking and Finance Committee for the Beacon Council. In addition, he also serves as a Trustee with the United Way of Miami Dade, past Chair for the March of Dimes Walk as well as past Chair for the Autism Speaks Walk for Miami Dade & Broward Counties. Prior to joining TD Bank, Felipe held similar positions with Regions Bank and Bank of America. He studied Business Management at Loyola University in New Orleans. What's doing in South Florida real estate? Find out from Ron Shuffield, one of the people who knows it all! Ron Shuffield is CEO of EWM Realty International (EWM), a 55-year old real estate brokerage with 10 offices in South Florida. As a part-owner of EWM since 1984, Ron sold EWM in 2003 to an affiliate of Berkshire Hathaway, HomeServices of America. EWM has 900 associates and staff members who are involved in South Florida residential & commercial real estate sales. EWM ranked #1 in dollar-volume sales of single-family homes and condominiums in the Greater Miami market during 2018, including the #1 position for the sale of luxury properties exceeding $1 million. Ron is a graduate of the University of Tennessee and he has also been a member of the University Baptist Church in Coral Gables since 1976, where he is a past chairman of Deacons. He and his wife, Anita, have three grown children. “A penny saved is a penny earned.” Who said that? If you guessed Benjamin Franklin you would be right! So how do you maximize this in your business? Come to our January meeting and get some new ideas. 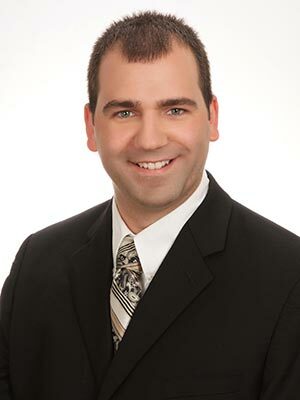 Our speaker this month is Marcell Hetenyi, a forensic CPA that is on our board. He is going to give your business lots of ideas to save money. We think that sales is the only way to make money but saving on taxes puts more money in our pockets too. Starting the year in a more profitable direction is what you should expect to get out of this meeting. Luis Vendoechea, our vice chair, is going to do some extra networking that we hope will connect you with some new customers too. We plan on passing the mic to all our members to introduce yourself to everyone in the room. If you have not re-joined for the year please take the time to do it online or at this January 3rd meeting. We look forward to seeing you soon! The Deering Estate is a South Florida gem. 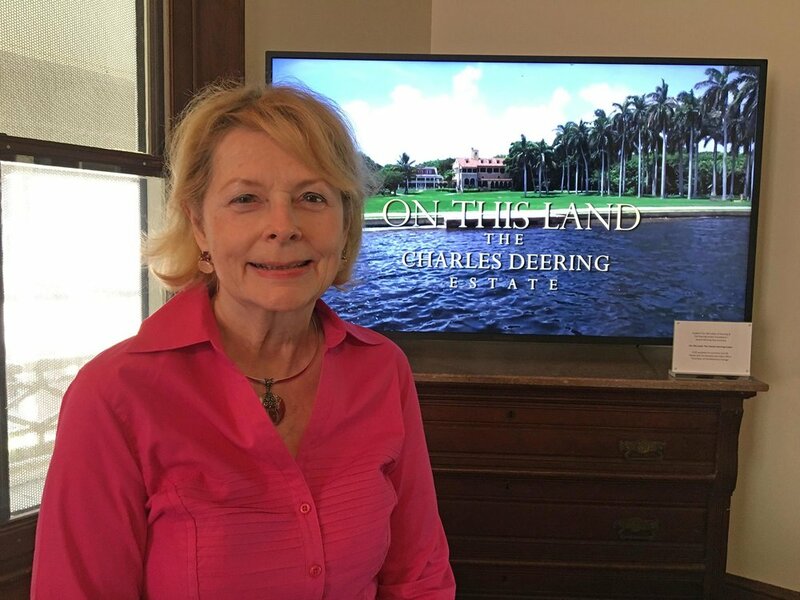 Its rich history is rarely known at the level you will experience it with a screening of an award-winning 26-minute documentary film called On This Land, The Charles Deering Estate. Becky is a graduate of Duke University, where she majored in English literature and played leading roles in stage productions. She received a master’s degree in journalism from the University of North Carolina at Chapel Hill. Becky worked as a newspaper reporter and magazine writer and founded the award-winning Preservation Today magazine. She is the co-author of the book Florida’s Historic Restaurants and the editor of the coffee-table book Miami’s Historic Neighborhoods. For 18 years Becky served as executive director of Dade Heritage Trust, Miami’s largest nonprofit historic preservation organization. During that time she co-produced a public television series, appeared on radio and TV shows and led efforts to preserve the Freedom Tower, the 2000-year-old Miami Circle, the historic Miami City Cemetery, Old Miami High, the Hubbard/Alvarez Bungalow, the Dice House, the Miami Marine Stadium, the Miami Herald Building and the archeological remains at MetSquare of the Tequesta, Ft. Dallas and Royal Palm Hotel. Becky has cared deeply about the Deering Estate since it was first purchased by the State of Florida in 1985, attending its opening tea dance and visiting the then newly discovered Cutler Fossil Site. She was Florida manager of The Elizabeth Ordway Dunn Foundation when it awarded the grant that led to the creation of the Deering Estate Foundation in 1989. She has been a board member of the Deering Estate Foundation since 2009. A former chairman of the State of Florida’s Historic Preservation Advisory Council, Becky currently serves on the boards of the Florida Trust for Historic Preservation and the Stiltsville Trust. Becky is a past president of the Junior League of Miami and a member of the International Women’s Forum. An alum of Leadership Florida, she has served on the boards of Palmer Trinity School, The Villagers, Inc., the Prologue Society and the Governor’s Council for Sustainable Florida. Are you ready to supercharge your social media and digital marketing? This is the lunch meeting you don’t want to miss! William Humphrey is an Asst. Professor, Department of Marketing & Logistics at FIU. His areas of expertise include interactive digital marketing, social media marketing and personal selling. He has previously held digital marketing and eCommerce roles with American Express and Carnival Cruise Lines, and his agency clients with imc2 included Norwegian Cruise Line, Omni Hotels, and Samsung Mobile USA. His research interests include consumer behavior as it relates to the emerging topics of mobile marketing, geolocation targeting, and social media. This month we'll help get ourselves educated and prepared for the upcoming elections. Vote with POWER! Vote with confidence! 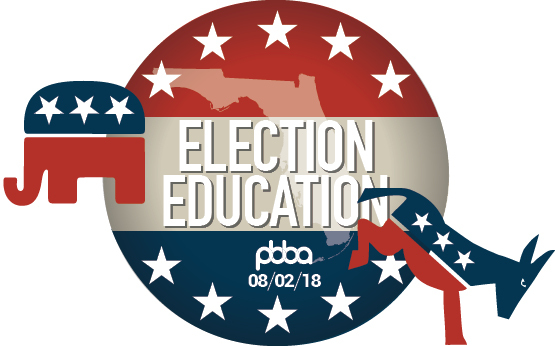 As in years past, the PBBA will provide the opportunity for anyone running for a position that effects Palmetto Bay to come up and tell us about their platform and positions. We've even expanded to cover judges in this election cycle so that you can be informed further down the ballot. Depending on how many candidates confirm their participation, each will get between 2-3 minutes to make their pitch to you as a voter. We are proud to help the business community become election aware and election smart. Please join us for this important lunch meeting. We will also conduct an abbreviated version of our standard meeting agenda. This month we'll learn business from one of FIU's greats. With a focus on IT, digital and data, our speaker will help you bring your business into the future! Dr. George M. Marakas is a Full Professor of Information Systems and the Graduate Program Director for the FIU College of Business Doctoral Programs. His teaching expertise includes Digital Transformation, Systems Analysis and Design, Technology-Assisted Decision Making, Electronic Commerce, Management of IS Resources, Behavioral IS Research Methods, Business Intelligence, Data Mining, and Data Visualization and Decision Support. In addition, George is an active researcher in Systems Analysis Methods, Data Mining and Visualization, Creativity Enhancement, Conceptual Data Modeling, Technology Acceptance, and Computer Self-Efficacy. Dr. Marakas received his Ph.D. in Information Systems from Florida International University and his MBA from Colorado State University. Prior to his position at FIU, he was a tenured member of senior faculty at University of Kansas and the Kelley School of Business at Indiana University, as well as an assistant professor at University of Maryland and adjunct faculty member at Helsinki School of Economics. Preceding his academic career, he enjoyed a highly successful career in the banking and real estate industries. His corporate experience includes senior management positions with Continental Illinois National Bank and the Federal Deposit Insurance Corporation. In addition, George served as the first President and CEO for CMC Group, Inc., a major real estate development firm in Miami, FL for three years. Throughout his academic career, Dr. Marakas has distinguished himself both through his research and in the classroom. He has received numerous national teaching awards and his research has appeared in the top journals in his field including Information Systems Research, MIS Quarterly, and Management Science. He is also the author of five best-selling textbooks in information systems: Decision Support Systems for the 21st Century, Systems Analysis and Design: An Active Approach, Data Warehousing, Mining, and Visualization: Core Concepts and Management Information Systems and Introduction to Information Systems with Professor James O’Brien. Beyond his academic endeavors, George is also an active consultant and has served as an advisor to major organizations including the Central Intelligence Agency, British-American Tobacco, the Department of the Treasury, the Department of Defense, Xavier University, Citibank Asia-Pacific, Nokia Corporation, Heineken International, Professional Records Storage, Inc., and United Information Systems, among many others. His consulting activities are concentrated primarily on digital transformation of processes, global IT strategy, design and deployment of global IT architectures, workflow reengineering, e-Business strategy, and ERP and CASE tool integration. George is an active member of several professional IS organizations and is an avid golfer, a 2nd Degree Black belt in Tae Kwon Do, a PADI Master Scuba Diver Trainer and IDC Staff Instructor, and a member of Pi Kappa Alpha fraternity. He is currently serving as Chair-elect for the South Dade Chamber of Commerce Board of Directors as well as a board member for the Buy a Tree Change a Life Foundation. He is also an entrepreneur and owns several businesses including K and G Cycles and Little Angel Olive Oil. What's going on in our District 8 section of Miami-Dade County? Look no further, as our Commissioner Daniella Levine Cava gives us an update and an opportunity for discussion. Daniella Levine Cava was elected in late 2014 to serve as the Miami-Dade County Commissioner representing District 8, which includes Palmetto Bay, Cutler Bay, Homestead, and unincorporated areas of South Dade including Redland, Falls, Princeton, Naranja, Leisure City and parts of West Kendall. Commissioner Levine Cava came to elected office after having served as an advocate for South Florida residents and communities for over 30 years. She served special needs children and immigrants at Legal Services of Greater Miami, and then represented children in the child welfare system as Associate and Legal Director for the Guardian Ad Litem Program. In the aftermath of Hurricane Andrew, Commissioner Cava was recruited to create a new intake system for child abuse cases with the Department for Children and Families (DCF). Her efforts were concentrated on the neighborhoods of County Commission District 8 where she helped restore the lives and homes of those devastated by the storm. She served first as consultant then as Manager of the Departments. She subsequently moved to Barry University School of Social Work where she taught public policy and co-founded the Academy for Better Communities. Commissioner Levine Cava has served on the Florida Bar Committee on Legal Needs of Children; the boards of League of Women Voters, Orange Bowl Foundation, North Dade Medical Foundation and the South Florida Health Information Initiative, and several national boards. She’s won awards from the Commission on Ethics, Red Cross, American Society for Public Administration, ACLU, FIU, National Council of Jewish Women, League of Women Voters, People for the American Way, The CLEO Institute, Alliance for Aging, Dream in Green, the Urban Environment League, the Miami-Dade Democratic Party and American Association of University Women, among others. She graduated from Leadership Florida and was selected as one of 11 “leadership fellows” by the International Women’s Forum in 1999. She currently serves on the executive board of the South Florida Regional Planning Council as a representative of the Board of County Commissioners. At the county level, Commissioner Levine Cava serves on the following committees: Housing & Social Services, Parks and Cultural Affairs (as Vice-Chair), Public Safety and Health, and the Chairman’s Policy Council. Commissioner Levine Cava is also a member of the Miami-Dade Transportation Planning Organization (TPO). Since joining the Miami-Dade County Commission, she has championed a fair share for South Dade; worked to promote economic opportunity, defend our parks, environment and agricultural lands; and advanced transparency and accountability in government. Commissioner Levine Cava received her bachelor’s degree in psychology with honors from Yale University and graduate degrees in law and social work from Columbia University. She came to South Florida in 1980 to join her husband, Dr. Robert Cava, a Miami native, who returned home to join his father in medical practice. Daniella and Robert raised two children, Eliza and Edward Cava, in Miami-Dade, supported by strong networks of friends, families and co-workers. This special PERSONAL BRANDING presentation is organized in recognition of the ever-growing need for marketing oneself and the unique challenges faced by professionals and business owners in differentiating themselves and their brands in today's fast-paced, technology-driven, competitive environment. Marketing knowledge and skills are needed more today than ever before. You will discover a practical PERSONAL BRANDING BLUEPRINT geared toward providing specific marketing knowledge and skills needed to launch, develop or reposition brand on a fast, direct track for success by saving costly, time-consuming trial and error. Therefore, marketing becomes true investment rather than expense. Irina Kim Sang is an experienced marketer, business owner (entrepreneur) and book author. Having two master's degrees-an MBA from the University of Colorado and an Master of Philosophy in marketing from the Maastricht School of Management, Netherlands-and being a professional marketer with sixteen years of corporate marketing experience in such brands as Pizza Hut and KFC among countries like Russia, Kazakhstan, and the United Arab Emirates, Irina has made successful transition to the real estate industry when she relocated to Miami. Irina is a marketing trainer and is an author of the recently published book "REALTOR® BRANDING: Marketing Yourself For REAL ESTATE SUCCESS"; practicing Luxury Broker associate; million dollar producer of Coldwell Banker Florida 100 and International President's Elite 2014; passionate marketing Educator - Innovation in Education Award 2015 by Miami Association of Realtors; Miami YPN of the Year 2016. In 2013 Irina launched Miami Vertical Garden Inc., company specializing on design, installation and maintenance of the green living walls. She is currently managing partner. Irina is positioning her personal brand as international luxury REALTOR®, experienced marketer, entrepreneur, passionate educator and marketing author. It's all about the U! And this month we have the University of Miami's Athletics Director to tell us what it's all about! Kick off the 2018 calendar year right! The PBBA scored with a big January speaker. The Beacon Council's President & CEO, Michael A. Finney. The Miami-Dade Beacon Council serves as the official economic development organization for Miami-Dade County. Lift your Summer into high gear with the PBBA Summer Social BBQ! Join us as we celebrate the endless days of summer. Enjoy BBQ food, drink and lively conversation. Please invite your friends, business partners and co-workers for an evening of fun, meeting new people and learning about new networking opportunities. This is an "adult" event, so no children, please. Note: Unlike prior years, NO TICKETS ARE REQUIRED for this event. Please bring people who may be interested in joining our group. Cutler Stew is our live musical entertainment for the evening! The lead singer, Dan Levine, is one of our PBBA Members! The Village Attorney is a Charter Officer, as recognized by the Village Charter, and is responsible for providing legal guidance to the Village and the Village Council and consults with the Council on legislative, quasi-judicial, administrative, proprietary, employment and all other governmental matters. The Village Attorney also renders legal opinions, prosecutes and defends for and on behalf of the Village and assists in securing revenues from taxes, fees, fines and forfeitures. Leonard Kalman, M.D. is currently the Deputy Medical Director and Chief Medical Officer of Miami Cancer Institute of Baptist Health South Florida, an evolving and expanding comprehensive “clinical/academic” cancer program housed in a spectacular new 395,000 square foot free-standing cancer center on the campus of Baptist Hospital of Miami. As a key member of the leadership of the Institute, he has worked on creating the overall mission and vision of the Institute, including defining its component parts. His current efforts focus on the recruitment of faculty and staff, re-engineering the Institute’s medical oncology division and working with its operational team to create a multi-disciplinary model of care combined with an unsurpassed patient experience. Dr. Kalman, though now limiting his clinical efforts, has been since 1982, after completing his fellowship in medical oncology at Memorial Sloan Kettering Cancer Center, a practicing medical oncologist, and from the early 1990’s, the Chairman of the Board of Managers of Advanced Medical Specialties (AMS), a large diversified oncology practice in Miami-Dade and Monroe Counties, Florida. As of December 1, 2014, all the physicians and employees of AMS joined Baptist Health in an employment model. Dr. Kalman led the practice’s strategic planning, quality, payment reform, and growth initiatives. He now also serves on the Board of the Baptist Health Quality Network, a large population health Clinically Integrated Network being formed by Baptist Health and its physicians, and chairs the Oncology Medication Management Subcommittee of the Cancer Institute. In collaboration with Baptist Health and Florida Blue, he also formed and leads the nation’s first “oncology-specific” ACO, as well as directing a similar program with AvMed Health Plans. Special guest speaker Travis Kendall, Palmetto Bay's new Director of Planning and Zoning will give us a short overview of the DUV code and what's going on with development in the Village. Our main speaker is... Maurice Gray, Director of Business Support Services, Goldman Sachs 10,000 Small Businesses @ Miami Dade College. Maurice has served as a Lender and Relationship Manager in the banking industry for the past fifteen years, while working in both Middle Market and Business Banking. He has managed loan portfolios with $50 million of outstanding loans to businesses with annual revenues ranging from $1 million to $80 million, while consisting of working capital and real estate loans. Maurice has worked with businesses across a variety of industries inclusive of manufacturers, wholesalers and service companies. His experiences as a lender have encompassed loan underwriting, monitoring, remediation, and U.S. Small Business Administration (SBA) loan structuring. He has also worked as a consultant to small businesses while creating business plans, identifying opportunities, and streamlining operations. Maurice’s past and present civic involvement has includes serving as a Board Member with Goodwill of South Florida, a Leadership Council member and Chair of the Mentoring Committee of the Take Stock In Children mentoring program. He received a B.A. degree in Sociology from Davidson and an MBA from Case Western Reserve University. Maurice enjoys spending time with his wife and two sons.Mr. Gray will provide an overview of the Goldman Sachs 10,000 Small Businesses Program. Long-time PBBA member Abe Levy is rolling out the red carpet (he sells the stuff!) at his store, All Star Flooring, so that the PBBA can network! As United States Attorney, Mr. Ferrer is the chief federal law enforcement officer for the District. In January 2014, Mr. Ferrer was appointed by Attorney General Eric Holder to serve a two-year term on the Attorney General's Advisory Committee (AGAC). Prior to his appointment as United States Attorney, Mr. Ferrer held the position of Chief of the Federal Litigation Section at the Miami-Dade County Attorney's Office. After five years at the Department of Justice, Mr. Ferrer returned to Miami in 2000 to become an Assistant U.S. Attorney. While at the U.S. Attorney's Office, he served in the Public Integrity and National Security Section, the Economic Crimes Section, the Major Crimes Section, and the Appellate Division of the Office. As an Assistant U.S. Attorney, Mr. Ferrer handled and tried numerous high profile matters, including international money laundering, health care fraud, narcotics, international human rights abuses, immigration, and firearms offenses. During his career, Mr. Ferrer has been recognized as one of the Top Government Attorneys by both South Florida Legal Guide and Florida Legal Elite. In addition, he received the Attorney General's Medal in 2000, and Superior Performance and Special Merit Awards for his work as an Assistant U.S. Attorney. In September 2014, Mr. Ferrer was awarded the Alumni Award of Merit from the University of Pennsylvania Law School. Franklin Sirmans is the director of the Pérez Art Museum Miami. Prior to his recent appointment, he was the department head and curator of contemporary art at Los Angeles County Museum of Art from 2010 until fall 2015. At LACMA Sirmans organized Noah Purifoy: Junk Dada, which travels to the Wexner Center for the Arts in January 2016. He also curated Variations: Conversations in and Around Abstract Painting, Futbol: The Beautiful Game, Ends and Exits: Contemporary Art from the Collections of LACMA and the Broad Art Foundation, and coorganized the exhibition Human Nature: Contemporary Art from the Collection. From 2006 to 2010, he was curator of modern and contemporary Art at The Menil Collection in Houston where he organized several exhibitions including NeoHooDoo: Art for a Forgotten Faith, Steve Wolfe: Works on Paper, Maurizio Cattelan: Is Their Life Before Death? and Vija Celmins: Television and Disaster, 1964-1966. He is the 2007 David C. Driskell Prize Winner and he was the artistic director of Prospect.3 New Orleans from 2012-2014. He is the curator of the forthcoming exhibition Toba Khedoori. Commissioner Cava has helped thousands improve their standard of living and enter the middle class. She has created hundreds of jobs through programs such as Public Allies, ReServe, and internships throughout the nonprofit and government sectors. Hundreds of new civic leaders have graduated from Catalyst’s programs, including new immigrant leaders in Homestead. These graduates are now active members of school, community and civic life. She has served on the Florida Bar Committee on Legal Needs of Children; the boards of League of Women Voters, Orange Bowl Foundation, North Dade Medical Foundation and the South Florida Health Information Initiative, and several national boards. She’s won awards from the Commission on Ethics, Red Cross, American Society for Public Administration, ACLU, FIU, National Council of Jewish Women, League of Women Voters, People for the American Way and American Association of University Women, among others. She graduated from Leadership Florida and was selected as one of 11 “leadership fellows” by the International Women’s Forum in 1999. Born in New York City, and raised across North and South America, her family stressed giving back and working to create equal opportunity. Commissioner Cava received her bachelor’s degree in psychology with honors from Yale University and graduate degrees in law and social work from Columbia University. She came to South Florida in 1980 to join her husband, Dr. Robert Cava, a Miami native, who returned home to join his father in medical practice. Daniella and Robert raised two children, Eliza and Edward Cava, in Miami-Dade, supported by strong networks of friends, families and co-workers. They welcomed Fanny, Daniella’s beloved mother-in-law, and countless interns, family and friends to live in their home.